I just saw the picture of the manual you have been so busy copying. Attached is a photo of two that I have. 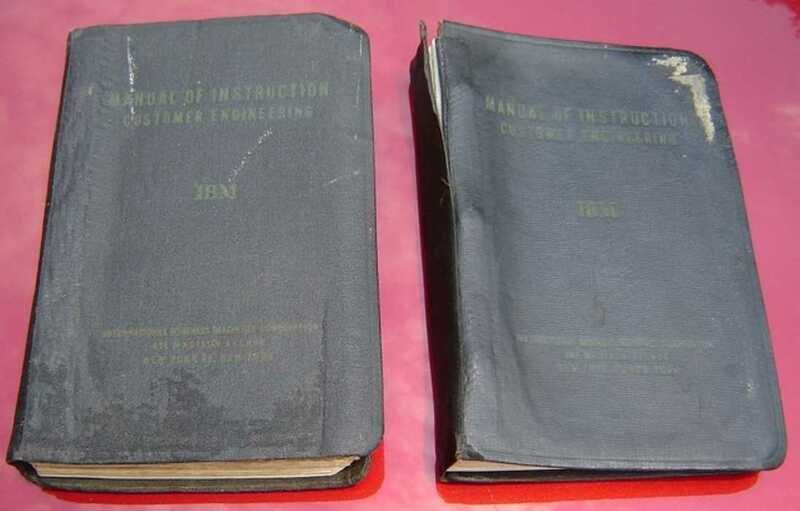 One belonged to J. C. "Bo" Barnwell who was the IBM CE Manager in Hawaii the day the Japs attacked Pearl Harbor. I worked with Bo for 16 years at Lockheed and he used to tell of standing in his front yard overlooking the harbor and watching the attack. The other belonged to W. D. "Bill" Cassimus who was an EAM CE at Lockheed when I arrived there in 1956. He later became a Systems Engineer and I wrote a story # 26 about him.